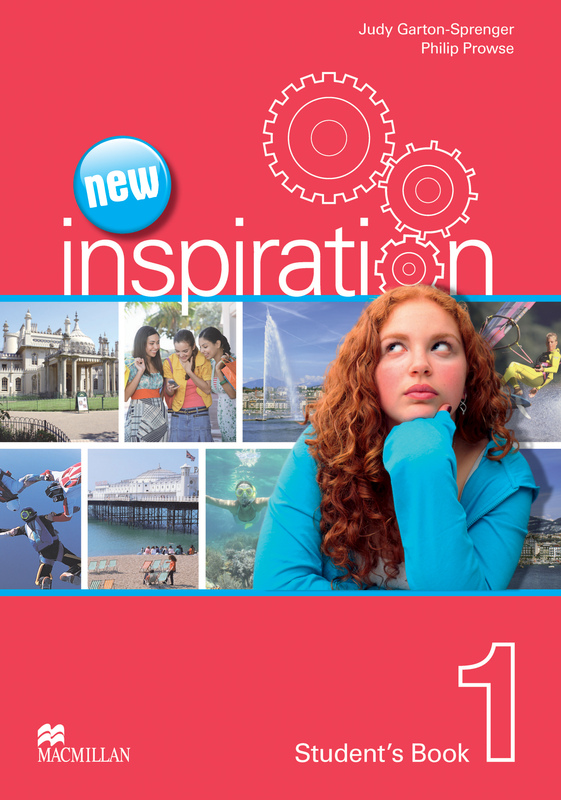 New Inspiration builds on the success of the Inspiration series and brings it up to date with new and fresh content. This four-level course takes teenagers from beginner to intermediate, evolving with students and reflecting their changing needs and interests. The new series takes a more task-based approach encouraging students to focus on their personal reactions to topics and texts an updated and improved design, including new photos and artwork, and updated photo stories. There is a focus on differentiation for mixed-ability classes, including extension activities in every lesson, vocabulary building and a greater emphasis on learner independence and self assessment. I cannot activate my Macmillan Practice Online code, why? Instructions on what to do if you cannot activate your MPO code. Instructions to access your Macmillan Practice Online course. How do I access the different types of activities on Macmillan Practice Online? Instructions to access the resources on MPO. I already have a Macmillan Practice Online account, how do I add a new course? Instructions to add a new course as an existing user. How can I join a class and link my Macmillan Practice Online account to my teacher’s account? Instructions on how to join a class on MPO. Information on how to recover your login details for Macmillan Practice Online. How do I set up a class on Macmillan Practice Online? How to set up a class. What is a Macmillan Practice Online course? A Macmillan Practice Online course is an online course containing a collection of resources. Why can’t I see my Macmillan Practice Online scores? Instructions on what to do if you cannot see your MPO scores. Why am I not able to see the Macmillan Practice Online resources as a teacher? This is likely because you have only registered for a free teacher account. My students cannot join my Macmillan Practice Online class. Why is this? Things to check if a student cannot join a class on MPO. Do teachers pay for Macmillan Practice Online? Macmillan Practice Online is free for teachers to use. How long does my Macmillan Practice Online course last? A student Macmillan Practice Online course lasts one year from the date that the code is activated. Information for teachers who have a student code to activate. Can I see my answers on Macmillan Practice Online? Viewing your answers on MPO. How can I change my Macmillan Practice Online password? You can change your password in the ‘My profile’ area once you have logged in. Where can I see information about the Practice Online courses I have activated? You can see information about Practice Online courses you have activated by clicking on ‘Courses’ at the top of the screen. How can I see when my course subscription ends? Click on your course to see when the subscription ends. Why has my course gone grey? If your course has gone grey, it is because your subscription has expired. Where can I edit my personal information for Macmillan Practice Online? Click on ‘My profile’ to edit your personal information. Why can't I see some of my resources? Certain resources have not been migrated to the new website. Can I add more than one course to my class? Yes, you can assign various courses to a class. How do I submit my answers to an exercise when I have finished? Why are my answers incorrect when I use the microphone to record my answers? The microphone is there to help you practice your pronunciation, but answers you record will not be graded. How can I print my Macmillan Practice Online scores? To export your scores and print them, go to ‘My Gradebook’. How can I view my students’ progress? Once they are part of the class you will see their details, progress and scores. Where can I see my scores for my Macmillan Practice Online course? On the ‘Courses’ page you can see the latest percentage score for your course/s. What do the circles next to the resource title mean? How can I see the correct answers when I have submitted my resource? How can I send my teacher a message? Why has my student's name turned grey? If your student’s name has turned grey, it is because they have left your class.